These Top 10 Strangest Statues are defiantly a little different, some i admit are quite creative and others are just plain out there. I know these are not technically optical illusions, but they are something worth checking out. 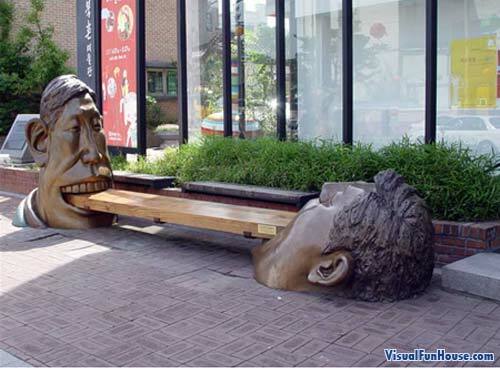 The first is kinda cute, the two statues are munching on a biscuit bench! It is located infront of the Bukcheon Museum in Seoul Korea. 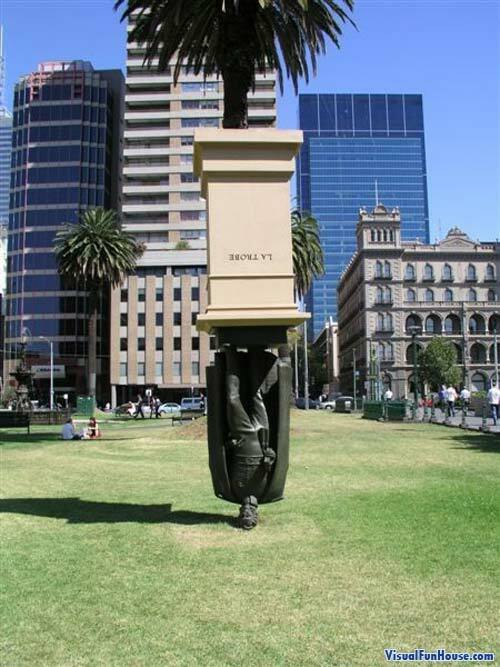 The second is a somewhat upside down version of Charles La Trobe. The third is a little on the strange side, its a giant peeing statue in Prague. 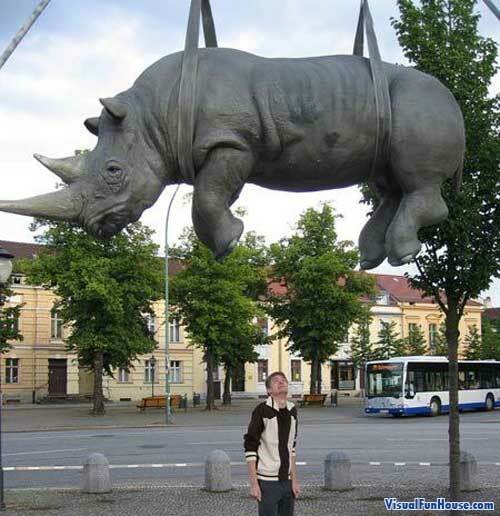 There is everything form falling sharks to giant thumbs to take a look at the top 10 Strangest statues. WOW THOSE ARE REALLY FUNNY!!!!! You said 10! Where are they?